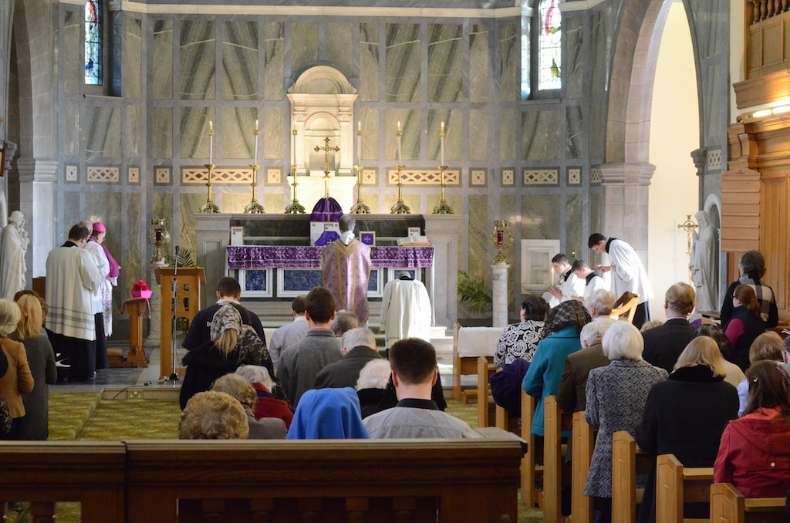 A new monthly Traditional Mass has begun in Diocese of Dunkeld, Scotland, at the behest of the recently appointed bishop, His Excellency Stephen Robson, supported by the work of Una Voce Scotland. 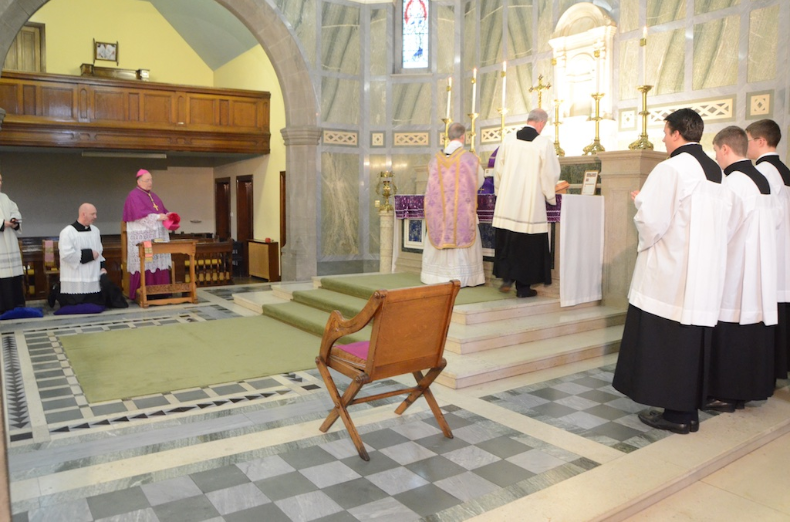 Bishop Robson had been approached by a group of more than sixty people who requested the traditional mass; the inaugural Mass was celebrated on Sunday, March 15th, at St Joseph’s Convent Chapel, Dundee, by Fr John Emerson FSSP, who is based in Edinburgh. Bishop Robson sat in choir, and the event was a great success, with some 130 people present, including many young adults and teenagers. 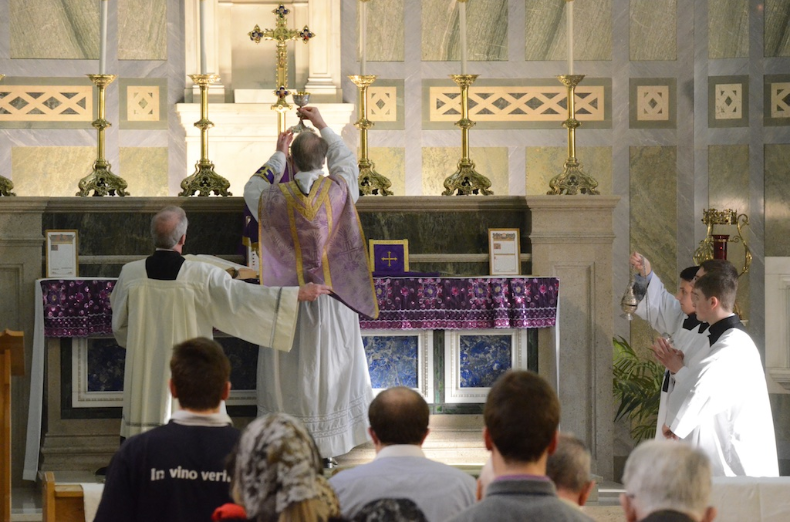 Catholic Students from the University of Dundee provided some of the altar servers, and the Mass was sung some alumni of St Andrew’s. A short article about the event is here, on the website of the diocese: http://www.dunkelddiocese.co.uk/monthly-extraordinary-form-mass/, and a photogallery here: http://www.dunkelddiocese.co.uk/gallery/. The EF community has also put together a facebook page: https://www.facebook.com/EFDundee. Special thanks to His Excellency for his support of and pastoral care for the young Catholics of his diocese!